Maintain accurate blood pressure readings with lower lifetime cost with gear-free DuraShock™ technology. The Platinum Series' premium gauge provides unsurpassed reliability in a traditional handheld device. 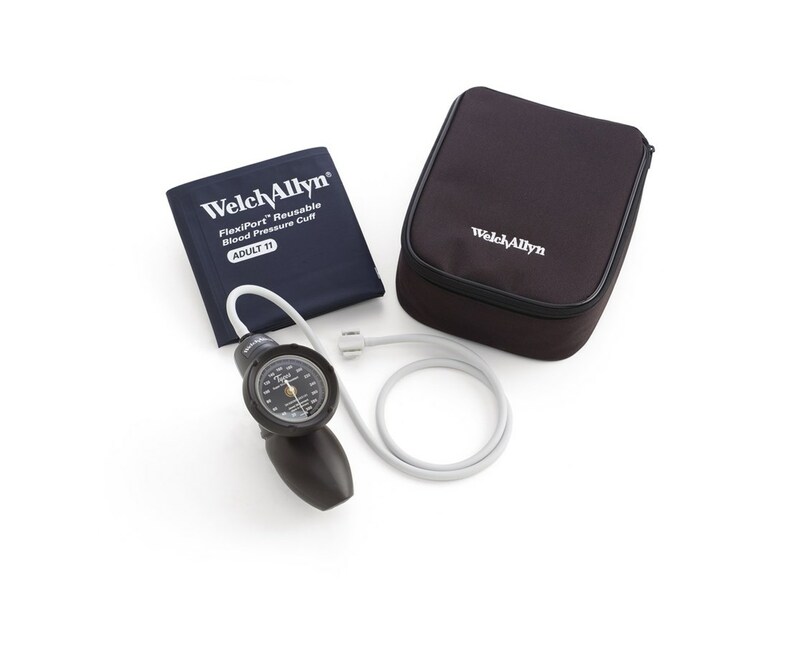 The super shock-resistant device can withstand up to 60° drop (twice the AAMI "Shock Resistant" standard) and remain in calibration. 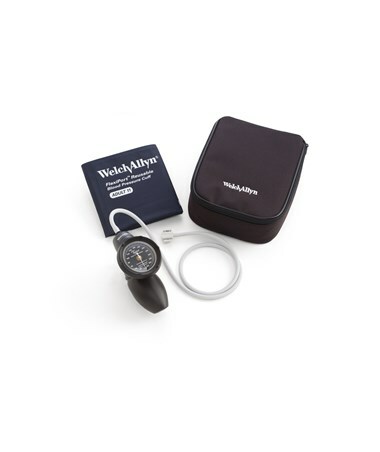 It features jewel movement for long life, laser-engraved dial face for accuracy, premium inflation system and ergonomic inflation bulb to enhance user comfort. Its lighter-than-traditional-model weight won't weigh down your lab coat. Choose a kit from the drop-down menu in the upper right corner of this page. 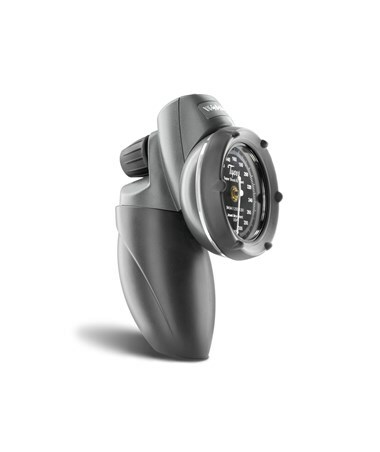 The DS58-11 features an adult-sized cuff with our innovative FlexiPort™ connection, which makes every cuff a one- or two-tube cuff, and a rotatable port to reduce stress to cuff tubing and port, improving patient comfort and cuff durability. It includes a nylon case and boasts an improved ergonomic inflation bulb designed to enhance comfort while inflating a cuff. A Zipper Case with a 1-Tube, 2-Piece Reusable Adult size cuff. 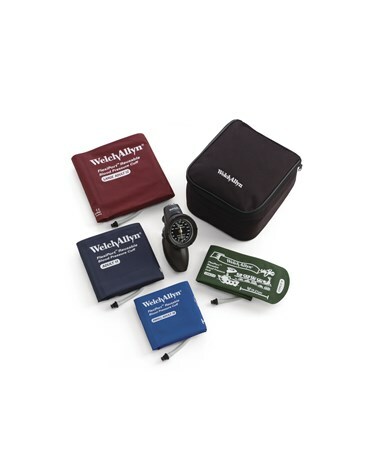 Family Practice Kit with 4 FlexiPort™ Reusable 1-Tube Cuffs in a Zipper Case. Cuff sizes included are Child, Small Adult, Adult and Large Adult. The DS58-MCCB improves on the DS58-11 by adding a family practice kit with bladder and an assortment of cuffs to fit every patient in a family practice: large adult, adult, and child. The cuffs are color-coded to make it easy to find the proper size. Pediatric 4-Cuff Kit with FlexiPort™ Reusable 1-Tube Cuffs in sizes Child, Small Child, Infant and Small Infant. Pediatric Three-Cuff Kit with 1-Tube, 2-Piece Reusable cuffs in three sizes - Child, Infant, and Newborn. Weight 1.36 - 2.42 lbs.